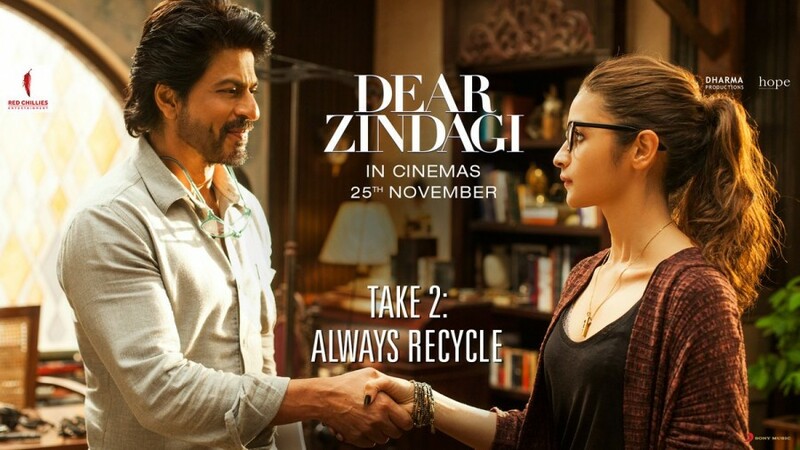 Last night I watched SRK’s latest flick — Dear Zindagi. I think it would be unfair to call it SRK’s. The movie was of the director — Gauri Shinde. It was such a simple movie yet so brilliantly executed. The movie felt like a mass therapy — replace anyone with Alia’s character and it will be relevant. If I had to pen down two key takeaways from the movie it would be — 1.) There’s nothing wrong in calling relationships off time and again if you don’t feel like continuing it and 2.) It’s a bit unfair to put so much pressure on romantic relationships.